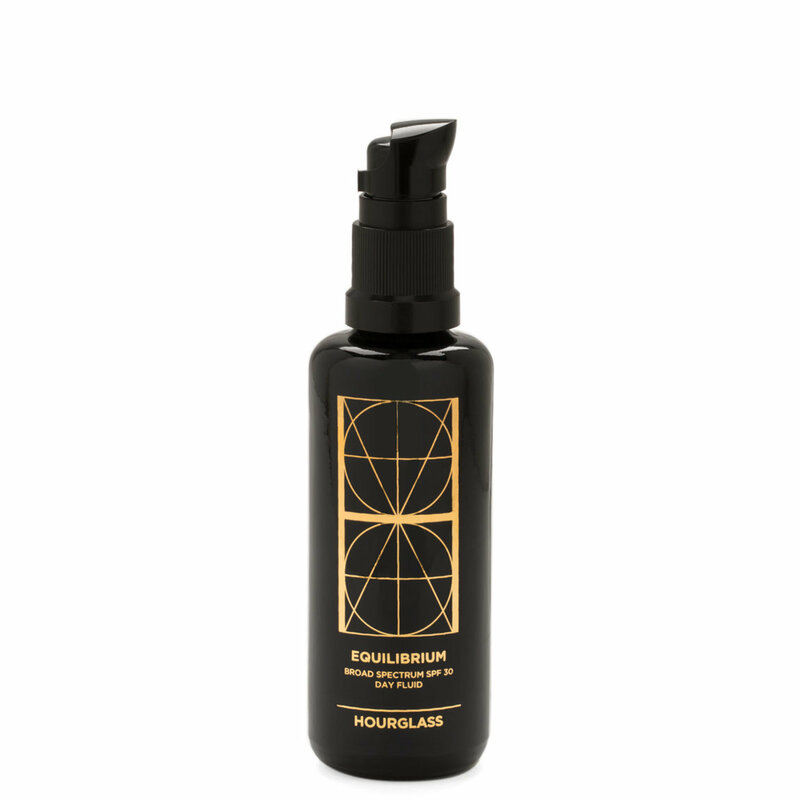 Formulated to maintain a healthy level of cellular turnover, Equilibrium Day Fluid with Broad Spectrum SPF 30 defends skin against the sun’s rays with four organic shielding compounds. The luxuriously lightweight fluid sinks into skin without a greasy or heavy feel, gently hydrating while helping to normalize your skin cells’ renewal process for brighter, smoother skin. Apply liberally to face and neck before sun exposure. Avoid the eye area. Suitable for all skin types. Best when used in tandem with Hourglass Equilibrium Biomimetic Skin Active Serum for enhanced cellular renewal.